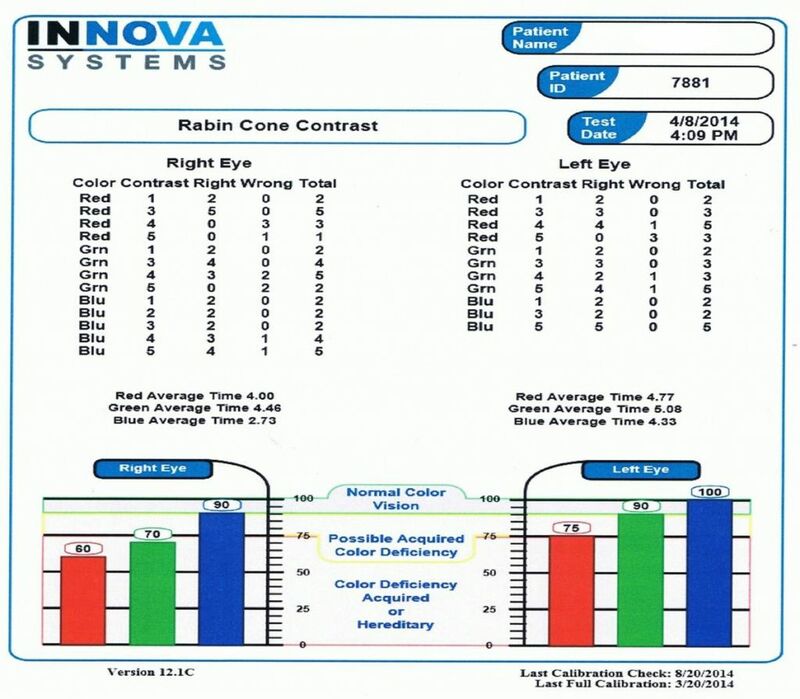 The Rabin Cone Contrast Test is a revolutionary new color vision test, and is the sole Color Vision Test for the US Air Force. With 15 years of US Air Force research, the test is sensitive enough to detect severity of cone deficiency as well congenital color deficiencies. The Rabin Cone Test can be used to detect and monitor acquired color deficiency caused by AMD, Glaucoma, Diabetic Retinopathy, MS, Parkinson’s Disease, TBI Retinal Toxicity due to High Risks meds such as Plaquenil. Clear View Vision Care was the first practice in Arizona to implement this technology, and it is making a difference every day as we assess patients for sight threatening diseases.